This Purana is basically a preaching to the sage Vashishth by Agni. In his turn, Vashishth narrated it to Vyasaji, who related it to Sutji. Ultimately, Sutji narrated Agni Purana to an assembly of the sages in Naimisharanya. Starting chapters of the Purana describe about various incarnations of Lord, including Rama and Krishna. Other chapters describe about religious rituals especially those related to the worship of Lord Shiva. Many chapters have description about the earth, stars and constellations as well as the duties of the kings. (4) Narasimha avatara - an incarnation in the form of a being who was half-man and half-lion. (10) Kalki - this is the incarnation that is yet to come. This Chapter contains 7 Sections. Everything happened as the fish had promised it would. The ocean became turbulent and Manu climbed into the boat. He tied the boat to the huge horn that the fish had. He prayed to the fish and the fish related the Matsya Purana to him. Eventually, when the water receded, the boat was anchored to the topmost peak of the Himalayas. And living beings were created once again. A danava (demon) named Hayagriva had stolen the sacred texts of the Vedas and the knowledge of the brahman. In his form of a fish, Vishnu also killed Hayagriva and recovered the Vedas. Many years ago there was a war between the devas (gods) and the daityas (demons) and the gods lost this war. They prayed to Vishnu to rescue them from the oppression of the demons. Vishnu told Brahma and the other gods that they should have a temporary truce with the demons. The two sides should get together to churn the ocean. Vishnu would ensure that the devas benefited more from this churning of the ocean than the daityas did. The truce was agreed upon and the two sides got ready to churn the ocean. The mountain Mandara was used as a churning rod and great sake Vasuki as the rope for churning. The devas grasped Vasuki’s tail and the daityas grasped Vasuki’s head. But as the churning began, the mountain Mandara which had no base, started to get immersed in the ocean. What was to be done? Lord Vishnu came to the rescue. He adopted the form of a turtle and the peak was balanced on the turtle’s back. As the churning continued, terrible poison named kalkuta emerged from the depths of the ocean and was swallowed by Shiva. Shiva’s throat became blue from this poison and he is therefore known as Nilakantha, blue of throat. The goddess Varuni, the goddess of wine (sura), came out next. The gods readily accepted her and thus they came to be known as suras. But the demons rejected Varuni and were therefore known as asuras. She was followed by the Parijata tree, a beautiful tree that came to occupy the pride of place in Indra’s garden. A jewel named koustubha emerged and was accepted by Vishnu as his adornment. Three wonderful animals came out next - the cow Kapila, the horse Ucchaishrava and the elephant Airavata. They were followed by the apsaras, beautiful women who became the dancers of heaven. They were known as apsaras because they emerged from ap (water). The goddess Lakshmi or Shri came out next and was united with Vishnu. Finally, Dhanvantari emerged with a pot of amrita (the life - giving drink) in his hands. Dhanvantari was the originator of medicine (ayurveda). The daityas led by Jambha gave half of the amrita to the devas and departed with the remaining half. But Vishnu quickly adopted the form of a beautiful woman. So beautiful was the woman that the demons were charmed. “Pretty lady,” they said. “ take the amrita and serve it to us. Marry us.” Vishnu accepted the amrita, but he had no intention of giving it to the demons. He served it to the gods instead. There was only one demon who was somewhat clever. His name was Rahu. He adopted the form of Chandra, the moon-god, and succeeded in drinking some of the amrita. 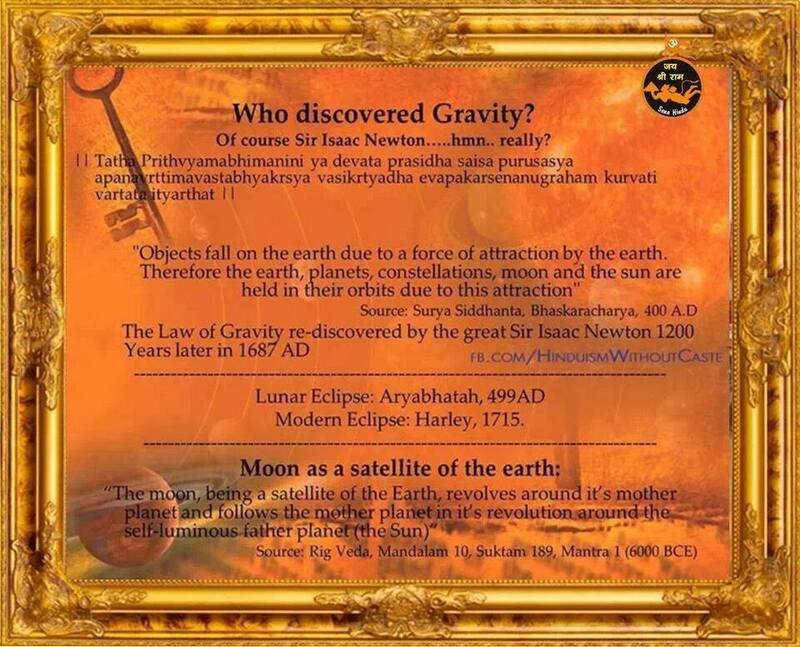 The sun-god and the moon-god noticed what was happening and reported it to Vishnu. Vishnu thereupon cut off Rahu’s head with a sword. But Rahu had drunk the amrita, so he could not die. He prayed to Vishnu and Vishnu granted him a boon. The boon was that occasionally Rahu would be permitted to swallow up the sun and the complained about him. You can see this happening at the time of the solar and the lunar eclipses. People who give alms during such eclipses are blessed. The gods obtained the amrita and the demons did not. Thus, the gods became more powerful than the demons. They defeated the demons and regained heaven. Vishnu’s next incarnation was in the form of a boar. The sage Kashyapa and his wife Diti had a son named Hiranyaksha. became the king of the asuras. Hiranyaksha’s meditation pleased Brahma and Brahma granted him the boon that he would be invincible in battle. Thus armed. Hiranyaksha went out to fight with the devas. He comprehensively defeated the gods and conquered heaven. He also defeated Varuna, the god of the ocean. Thus, Hiranyaksha became the king of the heaven, the earth and the underworld. But the asura was not particularly fond of the earth. He himself had begun to live in Varuna’s palace under the ocean. So he hurled the earth into the depths of the ocean. The gods went to Vishnu and prayed that something might be done about Hiranyaksha. They wished to be restored to heaven and they wished that the earth might be brought back from the depths of the ocean. In response to these prayers, Vishnu adopted the form of a boar and entered the ocean. Who should he meet there but Hiranyaksha himself? Hiranyaksha of course did not know that this boar was none other than Vishnu. He thought that it was an ordinary boar and attacked it. The two fought for many years. But finally, Hiranyaksha was gored to death by the boar’s tusks. The boar raised the earth up once again with its tusks. Vishnu thus saved the gods and the principles of righteousness or dharma. Hiranyaksha had a brother named Hiranyakashipu. Hiranyakashipu was furious to learn that his brother had been killed and the resolved to kill Vishnu. But this could not be done unless h e himself became powerful land invincible. Hiranyakashipu, therefore, began to pray to Brahma through difficult meditation. Brahma was pleased at these prayers and offered to grant a boon. Brahma granted the desired boon. And Hiranyakashipu was happy. He thought that he had taken care of all possible eventualities. And since he had become so powerful, he conquered all the three worlds and kicked the gods out to heaven. Hiranyakashipu had a son named Prahlada. You no doubt remember that Hiranyakashipu had resolved to kill Vishnu. But strangely enough, Prahlada became devoted to Vishnu. Hiranyakashipu tried to persuade his son. That did not work. He tried to kill his son. That too did not work since each time, Vishnu intervened to save Prahlada. Meanwhile, the gods had been driven off from heaven. They had also been deprived of their shares in yajanas by Hiranyakashipu. These shares now went only to the asura king. In desperation, they went and prayed to Vishnu and Vishnu promised them that he would find a solution. One day, Hiranyakashipu called Prahlada to him. “How is it that you escaped each time I tried to kill you?”, he asked. “Very well then. I am going to kick the pillar,” said Hiranyakashipu. When Hiranyakashipu kicked the pillar, it broke into two. And from inside the pillar, Vishnu emerged in his form of half-man and half-lion. He caught hold of Hiranyakashipu and placed the demon across his thighs. And with his claws, he tore apart the demon’s chest and so killed him. Brahma’s boon had been that Hiranyakashipu would not be killed by man or beast. But then narasimha was neither man nor beast it was half-man and half-beast. The boon had said that the asura would not be killed in the sky, the water or the earth. But Hiranyakashipu was killed on Vishnu’s thighs, which were not the sky. The water or the earth. And finally, the noon had promised that Hiranyakashipu would not be killed by night or day. Since the incident took place in the evening, it was not night or day. After Hiranyakashipu died, the gods were restored to their rightful places. Vishnu's made Prahlada the king of the asuras. Prahlada’s grandson was Vali and Vali became very powerful. When he was the king of the asuras, there was a war between the devas and the asuras. The gods were defeated and were driven off from svarga. As always, the gods fled to Vishnu and began to pray to him to save them. Vishnu assured the gods that he would do something about Vali. Accordingly, Vishnu was born as the son of Aditi and Kashyapa. The son was a dwarf. King Vali had arranged for a huge sacrifice and had announced that, on the occasion of the sacrifice, he would not refuse anyone a boon. The dwarf arrived at this sacrifice and began to recite the Veda’s. Vali was so pleased at this that he offered the dwarf a bon. Vali’s guru(teacher) was Shukracharya and Shukracharya thought that there was something fishy about the way the dwarf had arrived. So he tried to restrain Vali. Before a boon was actually granted, a small rite had to be performed with holy water. Shukracharya was still trying to do his best to prevent the boon from being given. So he entered the vessel in which the holy water was kept to seal the mouth of the vessel and prevent the water from being taken out. To get at the holy water, the vessel was pierced with a straw. This straw also pierced one of Shukracharya’s eyes. Ever since that day, the preceptor of the demons has been one eyed. Vali agreed. But the dwarf adopted a gigantic form. With one step he covered bhuloka. With another step he covered bhuvarloka. And with the last step he covered svarloka. The three worlds were thus lost to Vali and Vishnu returned them to Indra. Vali had no option but to go down to the underworld (patala). But so pleased was Vishnu at Vali’s generosity that he granted the asura the boon that he would bear the title of Indra in the future. The kshatriyas were the second of the four classes. It was their job to wear arms and protect the world. And rule. The brahmanas were the first of the four classes. It was their job to pray, study the sacred texts and perform religious rites. But the kshatriyas became very insolent and began to oppress the world and the brahmanas. Vishnu was then born as the son of the sage Jamadagni and his wife Renuka. Since this was the line of the sage Bhrigu, Parashurama was also called Bhargava. Parashurama’s mission was to protect the brahmanas and teach a lesson to the kshatriyas. There was a king named Kartavirya who had received all sorts of boons from the sage Dattatreya. Thanks to these boons, Kartavirya had a thousand arms and conquered and ruled over the entire world. One day, Kartavirya went on a hunt to the forest. He was very tired after the hunt and was invited by the sage Jamadagni had a kamadhenu cow. This meant that the cow produced whatever its owner desired. Jamadagni used the kamadhenu to treat Kartavirya and all his soldiers to a sumptuous feast. Kartavirya was so enamoured of the kamadhenu that he asked the sage to give it to him. But Jamadagni refused. Kartavirya then abducted the cow by force and a war started between Kartavirya and Parashurama. In this war, Parashurama cut off Kartavirya’s head with his axe (parashu) and brought the kamadhenu back to the hermitage. After some time, Parashurama was away when Kartavirya’s sons arrived at the ashrama and killed Jamadagni. On the death of his father, Parashurama’s anger was aroused. He killed all he kshatriyas in the world twenty-one times. On the plains of Kurukshetra, he built five wells which were filled with the blood of kshatriyas. Eventually, Parashurama handed over the world to Kashyapa and went and lived on Mount Mahendra. Brahma came out of Vishnu’s navel. Brahma’s son was Marichi’s son Kashyapa, Kashyapa’s son Surya, Surya’s son Vaivasvata Manu, Manu’s son Ikshvaku, Ikskhvakku’s son Kakutstha, Kakutstha’s son Raghu, Raghu’s son Aja, Aja’s son Dasharatha, Dasharatha’s sons were Rama, Bharata, Lakshmana and Shatrughna. Since Rama was descended from Kakutstha and Raghu, he was also called Kakutstha and Raghava. Since his father’s name was Dasharatha, he was also called Dasharathi. 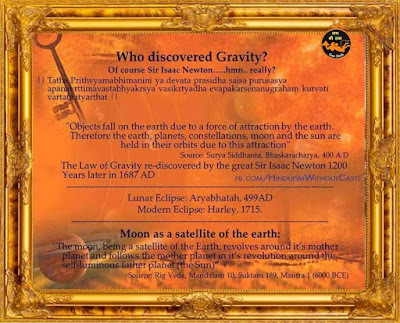 Rama’s story belongs to the solar line (surya vansha), since one of his ancestors was Surya. Vishnu himself wished to destroy Ravana and the other rakshasas (demons). He therefore divided himself into four parts and was born as Rams, Bharata, Lakshmana and Shatrughna. Rama was Koushalya’s son, Bharata Kaikeyi’s. Lakshmana and Shartrughna were the sons of Sumitra. The sage Vishvamitra came to Dasharatha and pleaded for Rama’s help in defeating the rakshasas who were disturbing his yajanas. Rama killed these demons and Vishvamitra was so pleased that he taught Rama the use of all divine weapons. Rama broke a bow of Shiv’s that had been in the possession of the king of Mithila, Janaka. This was the task that had been appointed for marrying Sita, Janaka’s daughter. Rama married Sita, Lakshmana married urmila, Bharata married Mandavi and Shatrughna married Shrutakirti. On the way back to Ayodhya, Rama also beat Parashurama in a duel. Dasharatha resolved that Rama should be made yuvaraja, that is, the heir apparent to the kingdom. But Kaikeyi had a servant named Manthara who plotted otherwise. When he was young, Rama had pulled at Manthara’s feet and ever since that day, Manthara had not been kindly towards Rama. She reminded Kaikeyi of the two; boons that had been promised to her by King Dasharatha. Years ago, the gods had been fighting with the demon Shambara and had asked Dasharatha for his help. In fighting with Shambara, Dasharatha had been injured. He had been nursed back to health by Kaikeyi. Dasharatha had promised two boons to Kaikeyi as a reward and Manthara’s suggestion was that Kaikeyi should now ask for these two boons. By the first boon Rama would be banished to the forest for fourteen years and by the second boon Bharata would become yuvaraja. Kaikeyi listened to Manthara. At Manthara’s instance, she asked for these two boons. Dasharatha was very angry, but Rama insisted that he would indeed go to the forest for fourteen years. Rama, Lakshmana and Sita first went to the banks of the river Tamasa. From there they went to the kingdom of Guha, the king of the hunters (nishadas). They crossed the river Jahnavi and arrived in Prayaga, where the sage Bharadvaja had his hermitage. Their final destination was the mountain range of Chitrakuta, on the banks of the river Mandakini. Meanwhile, back home in Ayodhaya, King Dasharatha who could not bear to be parted from Rama, died. Bharata and Shatrughna had gone on a visit to their uncle’s house and were recalled. But Bharatha refused to be king. He went to the forest to try and persuade Rama to return, but Rama insisted that he would not return before the fourteen years were over. So Bharata brought back Rama’s sandals. He placed these sandals on the throne as a token of Rama’s kingship. And he began to rule the kingdom in Rama’s name from Nandigrama, rather than from Ayodhya. Rama, Lakshmana and Sita then went to the forest that is known as the Dandaka forest, dandakaranya. This forest was on the banks of the river Godavari and there was a beautiful lgrove inside the forest known as Panchavati. They built a hut there and resolved to live there. There was a rakshasa woman named Shurpanakha. She happened to come to the place where Rama Lakshmana and Sita had built their hut. Shurpanakha liked Rama so much that she wanted to marry Rama and eat up Lakshmana and Sita. But Lakshmana cut off Shurpanakha’s nose and ears with his sword. Shurpanakha fled to brother Khara and demanded revenge. Khara and fourteen thousand other demons (rakshasas) attacked Rama, but they were all killed by Rama. Shurpanakha then went to her other brother Ravana, the king of Lanka. Ravana asked the rakshasa Maricha to adopt the form of a golden deer and roam around in front of Rama’s hut. Sita was so charmed by the deer that she asked Rama to capture it for her. Rama was long in returning and Lakshmana went to look for him. Taking advantage of Rama and Lakshmana’s absence, Ravana kidnapped Sita. Jatayu, the king of the birds, did try to stop Ravana, but he met his death at Ravana’s hands. Rama and Lakshmana were greatly distressed to find Sita missing and they looked for her everywhere. Rama made friends with the monkey Sugriva. He killed Sugriva’s brother Bali and made Sugriva the king of monkeys. The monkeys were sent off in all the four directions to look for Sita. The monkeys who had gone towards the south learnt that Sita was in Lanka, across the ocean. One of these monkeys was Hanumana. Hanumana leapt over the ocean and arrived in Lanka. He discovered the lonesome Sita in a grove of ashoka trees, the ashokavana. Hanumana introduced himself and assured Sita that he would soon be back with Rama. Hanumana caused some general havoc in Lanka and was captured by Meghnada or Indrajit, Ravana’s son. Ravana ordered that Hanumana’s tail should be set on fire. But Hanumana used his burning tail to set fire to all the houses of Lanka. He then returned to Rama with the news that Sita had been found. Rama, Lakshmana and the army of monkeys arrived at the shores of the ocean. There they built a bridge over the ocean so that they could cross over into Lanka. There was a terrible war in which Rama killed the giant Kumbhakarna, Ravana’s brother. Lakshmana killed Indrajit. Rama killed Ravana with a powerful divine weapon, the brahmastra. The fourteen years were by now over and Rama, Lakshmana and Sita returned to Ayodhya. There Rama was crowned king and he treated his subjects as his own sons. He punished the wicked and followed the path of dharma. During Rama’s rule there was no shortage of foodgrains anywhere and the people were righteous. No one died an untimely death. On Rama’s instructions, Shatrughna killed the asura Lavana and built the city of Mathura in the place where Lavana’s kingdom had been. Bharata was sent by Rama to kill a wicked gandharva, a singer of heaven named Shailusha, who lived on the banks of the river Indus with his sons. Bharata killed them and built two cities there, Takshashila and Pushkaravati. In Takshashila Bharata established his son Ataksha as king and in Pushkaravati he made his son pushkara the king. Rama and Sita had two sons named Kusha and Lava. Rama ruled for eleven thousand years before he died. This is the story of the Ramayana as recounted in the Agni Purana. 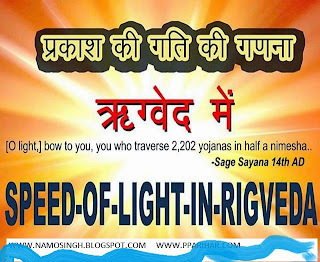 It was written by the sage Valmiki after he had heard the story from the sage Narada. Rama was the seventh avatara of Vishnu, Krishna was the eighth. This Chapter contains 2 Sections. As you have already been told, Brahma emerged from Vishnu’s navel. Brahma’s son was Atri, Atri’s son Soma, Soma’s son Pururava, Pururava’s son Ayu, Ayu’s son Nahusha and Nahushja’s son Yayati. Yayati had two wives, Devayani and Sharmishtha. Devayani had two sons, Yadu and Turvusu. And Sharmishtha had three sons, Druhya, Anu and Puru. The descendants of Yadu were known as the Yadavas. Vasudeva was a Yadava. His wife was Devaki. Vishnu was born as sthe son of Vasudeva and Devaki in order to remove the wicked from the world. The seventh son of Vasudeva and Devaki was Baladeva. And the eight son was Krishna himself. Krishna was born in the month of Bhadra in the thick of the night. Scared that the wicked Kakmsa might kill the newly born child, Vasudeva left him with Yashoda, the wife of Nanda. Nanda was the king of the cowherds and he brought up Baladeva and Krishna. Kamsa sent a rakshasa woman named Putana to kill Krishna but Krishna killed her instead. In Vrindavana, Krishna subdued the terrible snake known as Kaliya. He killed several other rakshasas named Arishta, Vrishabha, Keshi, Dhenuka and Gardhabha and made the country safe from the attacksof these demons. He also stopped the worship of Indra. This led to a fight between Indra and Krishna, Indra tried to destroy the inhabitants of Gokula by sending down torrents of rain. But Krishna held aloft the mountain Govardhana and saved the inhabitants of Gokula. Kamsa’s capital was in Mathura, Baladeva and Krishna went there. Kamsa let loose a mad elephant named Kuvalayapida on Krishna. But Krishna killed Kuvalayapida. Baladeva and Krishna also killed two strong wrestlers, Chanura and Mushtika, whom Kamsa had instructed to kill Baladeva and Krishna. Finally, Krishna killed Kamsa and made Ugrasena the king. Kamsa was Jarasandha’s son-in-law and Jarasandha became furious when he learnt of Kamsa’s death. He attacked the Yadavas and laid siege to the city of Mathura. After a prolonged war, Krishna managed to defeat Jarasandha. Krishna also defeated another evil king named Poundraka. On Krishna’s instructions, the Yadavas built the beautiful city of Dvaraka or Dvaravati. The Yadavas began to live in Dvaraka. There was an asura named Naraka who was killed by Krishna. Naraka had imprisoned sixteen thousand daughters of the devas, gandharvas and yakshas (guards of Heaven’s treasury). These women were freed by Krishna and Krishna married all of them. Amongst Krishna’s other exploits were defeating the daitya Panchajana, killing Kalayavna, seizing the parijata tree from Indra and bringing back to life the sage Sandipani’s dead son. Krishna had several sons. Shamba was born of Krishna’s wife Jambavati and Pradyumna was born of Krishna’s wife Rukmini. As soon as Pradyumna was born, he was abducted by the asura Shambara. Shambara threw the baby into the sea, but a fish swallowed the baby. A fisherman caught the fish and brought it to Shambara’s house. When the fish’s stomach was cut open, the baby came out. There was a woman named Mayavati who lived in Shambara’s house and Shambara handed over baby Pradyumna to Mayavati so that he might be brought up well. When he grew up, Pradyumna killed Shambara and married Mayavati. They returned to dvaraka and Krishna was very happy to see his lost son. Pradyumma and Mayavati had a son named Aniruddha. Aniruddha secretly married Usha, the daughter of King Vana, Vana himself being the son of Vali. Vana’s capital was in a city named Shonitapura. Vana had pleased Shiva through hard and difficult tapasya, so that sometimes he was called the son of Shiva. Vana loved to fight and he had wanted a boon from Shiva that he might get the chance to fight with someone who was his equal in battle. A flag with a peacock on it used to fly from the ramparts of Vana’s palace. Shiva told him the day this flag fell down. Vana’s desire for with an equal would be satisfied. With the help of a friend of Usha’s, Anuruddha and Usha used to meet secretly in Vana’s palace. Vana’s guards informed him about this and there was a fierce battle between Vana and Aniruddha At the same time, the flag with the peacock on it fell down. Krishna got to know from Narada about the fight between Vana and Aniruddha and he, Baladeva and Pradyumna arrived in Vana’s capital. Shiva came to fight on Vana’s side, accompanied by Nandi and Skanda or Kartikeya. But after a duel that lasted for a long time, Krishna triumphed over these enemies. Krishna’s arrows also cut off the thousand arms that Vana had. But at Shiva’s request, Krishna spared Vana’s life and gave two arms with which to make do. All of these stories about Krishna are related in detail in the Harivamsha. The Agni Purana merely gives a brief summary of the Harivamsha. But stories about Krishna, the eight avatara of Vishnu, also crop up in the Mahabharata. The Agni Purana, therefore, next summarises the Mahabharata. The Pandavas were merely a pretext. Krishna used the Pandavas to rid the world of evil men. You have already learnt that one of Yayati’s sons was Puru. In Puru’s line were born Bharata and Kuru. One of Kuru’s descendants was the king Shantanu. Shantanu married Ganga and Bhishma was born from this marriage. But Shantanu also married Satyavati and had two more sons, Chitrangada and Vichitravirya. Bhishma never married. Chitrangada died young. When Vichitravirya grew up, Bhishma defeated the king of Kashi and brought two of the king’s daughters, Ambika and Ambalika, as brides for Vichitravirya. Vichitravirya as also quite young when he died of tuberculosis. Since Vichitravirya had left no children, Vyasadeva was brought to Hastinapura. Vyasadeva and Ambalika had a son named Dhritarashtra and Vyasadeva and Ambalika had a son named Pandu. Dhritarashtra married Gandhari and they had a hundred sons, of whom the most important was Duryodhana. Pandu had two wives, Kunti and Madri. Kunti’s sons were Yudhishthira, Bhima and Arjuna and Madri’s sons were Nakula and Sahadeva. But Yudhishthira was really the son of the god Dharma and not Pandu’s son. Similarly, Bhima was the son of the god Pavana, Arjuna the son of Indra and Nakula and Sahadeva the sons of the two Ashvinis. Earlier, Kunti had a son named Karna from the sun-god. This was before she had god married to Pandu. Karna became a friend of Duryodhana’s. Because of a curse imposed on him by a sage, Pandu died in the forest. Duryodhana tried his best to kill the Pandavas. He set fire to a house of lac (jatugriha) in which Kunti and the five Pandavas were staying. But the Pandavas were saved and fled to a city named Ekachakra. There they lived, disguised as brahmanas. In Ekachakra, they destroyed a rakshasa named Vaka. They then won the hand of the daughter of the king of Panchala. Her name was Droupadi and all five Pandava brothers married her. When Duryodhana learnt that the Pandavas were alive, he handed over half the kingdom to them. Meanwhile, the forest Khandava had to be burnt and Krishna and Arjuna did this together. Krishna had befriended Arjuna. When Arjuna successfully defeated the god Agni at the burning of the Khandava forest, Agni gave him several divine weapons. Arjuna had also obtained divine weapons from his guru Dronacharya. On the Pandava side, Yudhishthira had become king. The Pandavas organised a rajasuya yajna (royal sacrifice) in which they conquered several kingdoms and accumulated lot of wealth. This made Duryodhana envious. He arranged a game of dice (aksha) between Yudhishthira and Duryodhana’s uncle Shakuni. Shakuni did not play fairly and Yudhishthira lost the game. As penalty for the loss, the Pandavas were to spend twelve years in the forest and one additional year without being detected. Droupadi went with them to the forest, as did the Pandava’s priest, Dhoumya. After the twelve years were over, the Pandavas came to the kingdom of King Virata where they proposed to spend the additional year that had to be spent in disguises. Yudhishthira pretended to be a brahmana, Bhima a cook, Arjuna a dancer, Nakula and Sahadeva stable-hands. Droupadi became the queen’s maid. The queen’s brother Kichaka tried to molest Droupadi, but was killed by Bhima. When the year was over, the Kauravas attacked King Virata to rob him of his cattle. But Arjuna defeated all the Kauravas and saved Virata’s cattle After this success, the identity of the Pandavas could no longer be kept a secret. But thankfully, the one year during which identities had to be kept a secret, was over. King Virata’s daughter Uttara was married to Abhimanyu, Arjuna’s son. Abhimanyu’s mother was Subhadra, whom Arjuna had married. Subhadra also happened to be Krishna’s sister. The Pandavas now demanded their rightful share of the kingdom, but Duryodhana refused. A war was imminent. A huge battalion of soldiers was known as an akshouhini. Duryodhana collected eleven akshouhinis for the war and Yudhishthira collected seven. Krishna was sent as a messenger to Duryodhana to try and preserve the peace. Krishna told Duryodhana that the Pandavas would be satisfied with a mere five villages. Duryodhana refused to give them even this without a fight. So the armies gathered for a war on the plains of Kurukshetra. Noticing that elders and relatives like Bhishma and Dronacharya were fighting on the side of the Kaurvas, Arjuna was reluctant to fight. 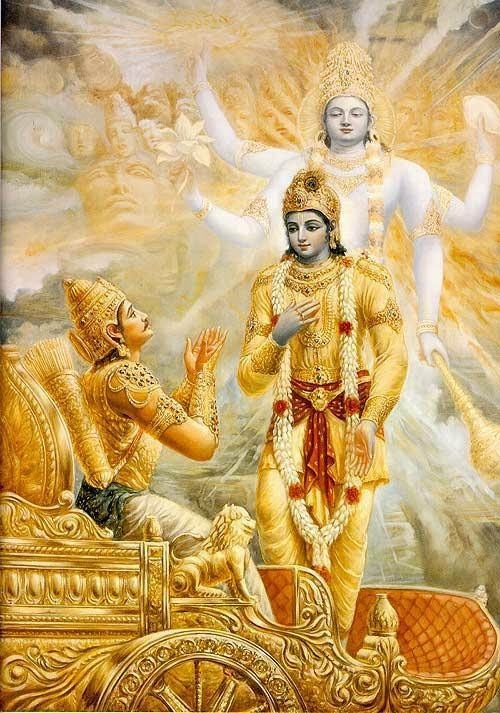 But Krishna gave Arjuna lessons which have come down to us as the Gita. He taught there was no reason for sorrow if Bhishma or Dronacharya died, that was only a death of their physical bodies. The true identity of a person was his atman (soul) which never died, but passed from one body to another. True bliss was obtained when the atman united with the brahman (divine essence) or paramatman (supreme soul). This was always the goal of a yogi, that is, a person who sought union with god. Thus instructed by Krishna, Arjuna started to fight. With the help of Shikhandi, he defeated Bhishma. This happened on the tenth day of the fighting. Bhishma did not however die. He had earlier received the boon that he would only die when he actually wished to do so. For many days, he lay there in the battlefield on a bed of arrows. After Bhishma’s defeat, Dronacharya became the general on the Pandava side. Dronaharya killed Virata, Drupada and several other kings and soldiers on the Pandava side. Dhrishtadyumna also killed many Kaurava soldiers. On the fifteenth day of the fighting, a rumour gained currency that Ashvatthama, Dronacharya’s son, had been killed. Dronacharya abandoned his weapons on hearing this bad news and Dhrishtadyumna faced no problems in killing him. Karna now became the Kaurava general and lasted for two and a half days before he was killed by Arjuna. Shalya was the last Kaurava general. He fought for only half a day and was killed by Yudhishthira. Bhima and Duryodhana fought the last duel of the war with maces. Bhima broke Duryodhana’s thighs and killed him. Ashvatthama had been fuming ever since his father Dronacharya had been killed by unfair means. In the dead of the night, he entered the Pandava camp where he killed Dhrishtadyumna and the five sons of Droupadi. Droupadi was disconsolate and demanded revenge. Arjuna and Ashvatthama let loose divine weapons at each other. Since this might destroy the world, they were asked to withdraw these weapons. Arjuna could withdraw his weapon, but Ashvatthama could not. Ashvatthama’s weapon killed the baby that was in Uttara’s womb, but when the dead baby was born, Krishna brought it back to life. This baby was Parikshita. Many kings and soldiers died in the course of the Kurukshetra war. The only ones left alive were Kritvarma, Kripacharya and Ashvatthama on the Kaurava side and Pandava side. After the war was over, Bhishma taught Yudhishthira the duties of king. It was only after this that he died. As a king, Yudhishthira performed many yajnas and gave a lot of to brahmanas. When Yudhishthira learnt that the Yadvas had been destroyed, he no longer wished to rule. He handed over the kingdom to Parikshita and the Pandavas left on a pilgrimage, in the course of which they died. It was Krishna who had used the Pandavas as a tool to rid the world of evil kings and establish the good ones. Realising that the Yadavas were also evil, Krishna also ensured that the Yadavas would be destroyed. He then gave up his life at the place of pilgrimage that is known as Prabhasa. After Krishna died, the city of Dvarka was swallowed up by the sea. This was the story of the eighth avatara of Vishnu. The ninth avatara of Vishnu was Buddha and the tenth will be Kalki. Many years ago, there was a war between the devas and the asuras in which the demons managed to defeat the gods. The gods went running to Vishnu for protection and Vishnu told them that Mayamoha would be born as Buddha, the son of Shuddhodana. Such were the illusions that Buddha created, that the asuras left the path indicated by the Vedas and became Buddhists. These dastardly creatures performed ceremonies that were a sure ticket to naraka. Towards the end of the Kali era, all people will be dastardly. They will oppose the Vedas, become robbers and will be concerned only with wealth. The disbelievers will then become kings and these kings will also be cannibals. Much later, Kalki will be born on earth as the son of Vishnuyasha. He will take up arms to destroy these disbelievers. Kalki’s priest will be the sage Yajnavalkya. The norms of he four classes (varna) and the four stages of life (ashrama) will be established yet again. People will honour the sacred texts and become righteous. It will then be time for the dawn of a new satya yuga, a fresh period of righteousness. In every cycle (kalpa) and in every era (manvantara) Vishnu is thus born in various forms. It is a sacred duty to listen to the stories of the ten avataras. The listener attains his desires and goes to heaven. Agni next told Vashishtha the history of creation. Vishnu is the Lord of creation, preservation and destruction. Before creation, it was only the brahman that was everywhere. There was no day, night or sky. First Vishnu created the waters. And in the waters he sowed the seeds of brahmanda. the great egg. From this seed there developed a golden egg which began to float on the waters. From the egg Brahma created himself. Since he created himself (svayam sambhuta), Brahma is also known as Svayambhu. Having created himself, Brahma stayed inside the egg for an entire year. And at the end of the year, he split the egg into two. One part of the egg formed the heaven, the other the earth. And in between the two parts of the egg, Brahma created the sky. Brahma next established the earth on the waters and made the ten directions. He created time, lightning, thunder, clouds, rain bows, words and anger. To ensure that yajnas could be performed, texts of the Rig Veda, the Yajur Veda and the Sama Veda emerged from his body. Holy people use the Vedas to perform Ceremonies meant for the gods. From the powers of his mind, Brahma created seven sons. Their names were Marichi, Atri, Angira, Pulastya, Pulaha Kratu and Vashishtha. Prithu is recognised as the first king Prithu was descended from Dhruva. And Prithu’s father Vena was also a king. But Vena was an evil king; he was simply not interested in protecting his subjects. The sages therefore killed Vena with a straw and after Vena had died, they began to knead the dead body’s right hand and it was thus that Prithu emerged. He wore armour and carried bow and arrows when he was born. He ruled well, as per the dictates of dharma. He looked upon all his subjects as his own sons. From Prithu the earth came to be known as prithivi. This Chapter contains 4 Sections. The Agni purana next has several chapters on how to pray and on how to build temples and idols. The Techniques of praying to Vishnu , Shiva, Surya and the other gods and goddesses are described, including the special mantras (incantations)that must be used so as to please specific gods and there are prescribed forms for such bathing as well. A Person who builds temples is blessed. Even if one merely thinks of building temples, the sins of a hundred lives are forgiven. A builder of a single temple goes to heaven (svarga). A builder of five to shivaloka, a builder of eight vishnuloka and a builder of sixteen temples is freed from the shackles of being born again and again. What is the point of earning money if one does not build temples? Money is also meant to be donated as alms to brahmanas, but the punya or merit earned from building a temple is greater than the punya earned from donating alms. The merit earned by builder of temples is greatest for a golden temple, lesser for a stone temple, still lesser for a wooden temple and least from earthen Temple. More punya is acquired from building an idol than from building a temple. Idols of gods and goddesses should always be set up so that they face the city; they should not face away from the city. The easy is for Brahma’s. Vishnu idol can be setup anywhere at all. Different idols of Vishnu must have different forms. Consider, for example, idols or images of the ten incarnations of Vishnu. The matsya (fish) avatara must naturally look like a fish and the kurma (turtle) avatara must look like a turtle. But the varaha (boar) avatara will four arms like a man and will hold a gada (mace), a padma (lotus flower), a shankha (conch shell) and a chakra (bladed discuss) in these four arms. The narasimha avatara should have two arms holding a chakra and a gada and should wear a garland. The vamana (dwarf) avatara should hold an umbrella and a stick in his two hands. Parashurama will have four hands with a bow. arrows, a sword and an axe in these hands. Rama’s image can have either two arms or four. If there are four arms, the four hands will hold a bow, arrows, a conch shell and a chakra. Balarama’s image may also have either four arms or two. If there are two arms, the four arms the hands will hold a plough, a conch shell, a club and a chakra. Buddha’s image should have a calm appearance. It should be seated on a lotus. The ears should be elongated Kalka’s image is that of a brahmana, seated on a horse and holding a bow and arrows, a conch shell, a sword and a chakra. Krishna’s image may be either two-armed or four-armed. Three of the four arms will hold a gada, a chakra and a shankha. The fourth palm will be opened out in the act of granting a boon. On either side of Krishna’s image, there will be images of Brahma and Shiva. Brahma has four faces and four arms and the image should have a pronounced rides a swan . On either side of Brahma’s image, there will be images of Sarasvati and Savitri. Vishnu’s image has eight arms. Seven of the arms hold a sword, a mace, arrow, a bow, a shield, a chakra and a conch shell. The eighth palm is spread out as if Vishnu is granting a boon. Vishnu should be shown riding on Garuda. Garuda will also have eight arms. To the right of Vishnu’s image, there should be images of Lakshmi and Sarasvati, Lakshmi holding a lotus and Sarasvati holding a veena (a musical instrument). There has also got to be and image of Vishnu exhibiting his universal form (vishvarupa). The Vishavrupa image has four heads and twenty arms. Chandi’s image has twenty arms. The ten arms on the right hold a spear, a sword, a shakti (a small spear), a chakra, a pasha (noose), a shield, a drum and any two other weapons. The ten arms on the left hold snakes a rod, an axe, an amkusha (used for driving elephants), a bow, a bell, a flag, a mace a mirror and a cub. In front of Chandi’s image there will be the image of a buffalo with its head cut off. The image of an asura will be shown emerging from the body of the buffalo. The demon’s hair, eyes and garland will be red in colour. It will be shown to be vomiting blood and it will hold weapons in its hand, The demon’s neck will be on the lion and her left leg will be on the demon’s back Images of Chandi may sometimes also have ten sixteen or eighteen arms. Shiva’s image (linga) may be made out of earth, wood, iron, jewels, gold, silver, copper, bronze or mercury. A visit to a place of pilgrimage (tirtha) brings the same punya that is obtained from performing a yajna. It is because people had not gone on pilgrimages or donated gold and cows in their earlier lives that they were born poor in their next lives. The best place of pilgrimage is Pushkara, Brahma, other gods and sages who wish to go to heaven live there. The best time to go to Pushkara is in the month of Kartika. In Pushkara itself there are two other places of pilgrimage known as Jambumarga and Tandulikashrama. It is difficult to go to Pushkara. But there are several other tirthas as well. One such is Kurukshetra, where Vishnu and the other gods keep on coming. The river Sarasvati flows near Kurukshetra. If one bathes in the Sarasvati, one attains brahmaloka. Any region through which the river Ganga flows also becomes a tirtha. Even if one sees the Ganga, the punya of per forming yajnas is attained. A person who bears earth from the bed of the Ganga on his head is freed of all sins. Prayaga is another famous place of pilgrimage. Brahma, Vishnu, Indra and the other gods, gandharvas, apsaras and the sages are always there in Prayaga. This is because the two holy rivers, Ganga and Yamuna, come together in Prayaga. There are many tirthas inside Prayaga itself. The sages have said that, in the month of Magha, if one bathes for three days in Prayaga, that is better than donating crores and crores of cows. If one donates alms in Prayaga, one goes to svarga and is born as a king in one’s next life. If one dies in Prayaga, one goes straight to vishnuloka. Shiva himself had told Parvati that Varanasi was a very holy tirtha and that Shiva never left the city. Varanasi is so named because it is located at the junction of two rivers, Varana and Asi. Varanasi is also known as Kashi. The river Narmada is also sacred. There may be several holy tirthas, but Gaya is the holiest of them all. A demon named Gayasura once started to perform and such were the powers of his tapasya that the gods began to suffer. They went to Vishnu and asked him to save them Vishnu agreed and appeared before Gayasura. “Accept a boon,” said Vishnu. “Grant me the boon that I may become the most sacred of all tirthas,” replied the daitya. The boon was granted and Gayasura disappeared. The gods returned to svarga, but felt that the earth seemed to be deserted now that Gayasura had disappeared. Vishnu then instructed Brahma and the other gods to perform a sacrifice. He also asked them to go to Gayasura and ask for his body so that the sacrifice might be performed on it. Gayasura readily agreed, and as soon as he agreed, his head fell off from the body, Brahma then proceeded to perform the sacrifice on Gayasura’s headless body. But as soon as the sacrifice started, the body began to shake. This meant that the sacrifice could not be properly performed and a solution had to be found. The solution was that the gods should all enter a stone which would be placed on Gayasura’s body so that the body would not shake. The sacrifice could then be performed. Vishnu himself also entered the stone. It is because the gods and Vishnu are always there in Gaya that Gaya is sacred. In fact, there is a story behind this stones as well. Dharmavrata began to wash Marichi’s feet when Brahma suddenly arrived. Dharmavrata did not know what to do. Should she finish washing her husband’s feet? Or should she first attend to Brahma, since Brahma-was Marichi’s father? She decided to attend to Brahma first. At this Marichi became very angry and cursed Dharmavrata that she would turn into a stone. Dharmavrata was greatly distressed at being cursed for what she thought had not been a fault at all. So she performed tapasya for many years. When Vishnu and the other gods were pleased at Dharmavrata’s meditation, they appeared and offered to grant her a boon. Dharmavrata wished that the curse imposed on her by Marichi might be waived. The gods explained that this was impossible, since Marichi was a very powerful sage. What they would however, do was to make Dharmavrata a very holy stone desired even by the gods. The gods promised to be always inside this stone. It was this stone that was placed on Gayasura’s body. Once the sacrifice was over, Gayasura himself desired a boon from the gods and the gods granted him that Gaya would become the most sacred of all tirthas. It was in Gaya that the Pandavas had prayed to Vishnu. The world is divided into seven regions (dvipas). Their names are Jambu, Plaksha, Shalmali, Kusha, Krouncha, Shaka, and Pushkara. The seven dvipas are surrounded by seven oceans and the names of these oceans are Lavana, Ikshu, Sura, Sarpih, Dadhi, Dugdha and Jala. Right in the centre of Jambudvipa is Mount Meru. Mountains named Himavana, Hemakuta and Nishada are to the south of Meru and mountains named Nila, shveta and Shringi are to the north of Meru. Jambudvipa is known by that name as there are a large number of jambu (jamun) trees in this area. On the top Mount Meru is Brahma’s famous city. Under the earth is the underworld. This too, consists of seven regions and their names are Atala, Vitala, Sutala, Talatala, Mahatala, Rasatsala and Patala. The daityas and the danavas live in the underworld. Vishnu is also there in the underworld, in his form of the great snake Shesha. The snake Shesha holds up the earth on its hood. That part of the sky which is lit up by sun-rays is known as Nabha. Above the earth is the sun, above the sun the moon, above the moon the stars, above the stars Mercury, above Mercury Venus, above Venus Jupiter and above Jupiter the constellation of the Great Bear (saptarshimandala). Beyond this constellation is the world of Dhruva. The Agni Purana next gives a lot of information on astrology. It states when marriages should take place and when they should not. For example, marriages are never to be held in the months of Chaitra and Pousha or under the signs of Libra or Gemini. If one is going on a trip, then Friday is the best day to start on. Medicine should not be taken if one of the nakshatras (stars) Pushya, Hasta, Jyeshtha, Shravana or Ashvini is not in the sky. If one wishes to have a bath after recovering from an illness, then Saturday is the best day for such a bath. The first time a child’s head is shaved should never be on Tuesday or a Saturday. Ears should be pierced on Wednesday or Thursday. 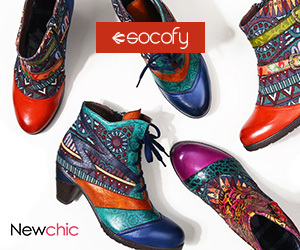 New clothes should not first be worn on Wednesday, Thursday or Friday. A new house should not be entered into the months of Chaitra, Jyeshtha, Bhadra, Ashvina, Pousha or Magha. It is best to reap grain on a Wednesday. Each manvantara (era) is rule over by a Manu. The first Manu was Svayambhuva. Shatakratu held the title of Indra during this manvantara. The second Manu was Svarochisha. Vipashchita held the title of Indra during this manvantara. Third Manu was Uttama and Sushanti was Indra then. The fourth Manu was tapasa and Shikhi held the title of Indra then. The fifth Manu was Raivata and Vitatha was Indra then. The title of Indra was held by Manojava during the sixth manvantara, the Manu being Chakhusha. Next came Shraddhadeva, the seventh Manu Purandara being the Indra. The eighth Manu’s name is Savarni and the eighth Indra’s Vali. The eighth manvantara has not yet come. The ninth Manu will be Dakshasavarni and the ninth Indra wil be Adbhuta. During the tenth manvantara, the Manu will be Brahmasavarni and the title of Indra will be held by Shanti. During the rule of the eleventh Manu Dharmasavarni, the Indra will be Gana. The twelfth Manu will be Rudrasavarni and the twelfth Indra will be Ritadhama. Rouchya will be the thirteenth Manu and Divaspati will be the thirteenth Indra. The fourteenth Manu will be Bhoutya and the title of Indra will then be held by Shuchi. During each of Brahma’s days, there are fourteen such manvantaras. After that comes Brahma’s night, when all these living beings are destroyed. All the Manus practised the precepts of dharma (righteousness). 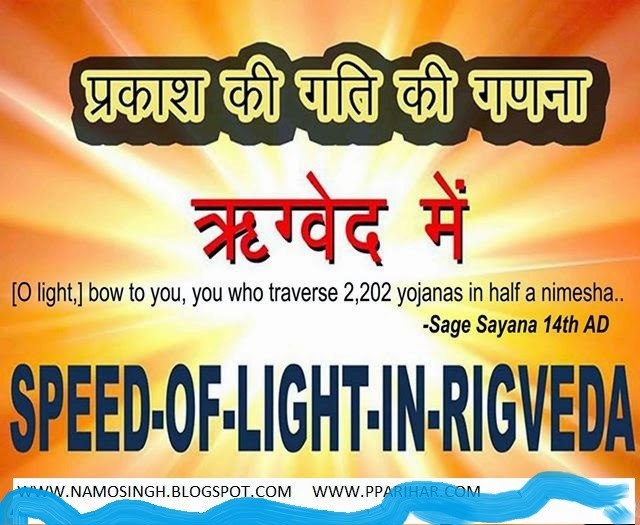 This meant non-violence, truthfulness, piety, going on pilgrimages donating alms, serving devas and brahmanas, tolerance of all religions and the following of the sacred texts. It also meant the practice of the system of the four classes (varna) and the four stages in life (ashrama). The four varnas are brahmanas, kshatriyas, vaishyas and shudras. Performing sacrifices, donating alms and studying the Vedas are duties that brahmanas, kshatriyas and vaishyas must perform. In addition, the kshatriyas must protect the good and punish the evil. The vaishyas must take care of trade, agriculture and animal husbandry. The duties of shudras are to serve the brahmanas and artisanship. When brahmanas take up the upavita, the sacred thread that is the mark of the first three classes, it is like a second birth for them. So brahmanas are known as dvijas(born twice). An anuloma marriage is a marriage where the husband is from a higher class than the wife. The offspring of such a marriage belong to the mothers class. A pratiloma marriage is a marriage where the wife is from a higher class than the husband. Chandalas were born this way from brahmana women, Sutas from kshatriya women, Devalas from vaishya women, Pukkashas from kshatriya women and Magadhas from vaishya women. Chandalas are executioneers, Sutas charioteers, Devalas guards, Pukkashas hunters and Magadhas bards. Chandalas should live outside the villages and should not touch those belonging to any other class. The best name for a brahmana is that which ends in Sharma. Similarly, the best name for a kshatriya ends in Varma, for a vaishya in Gupta and for a shudra in Dasa. The sacred thread ceremony is to be held at the age of eight years for brahmanas, eleven years for kshatriyas and twelve years for vaishyas. No sacred a thread ceremony should be held beyond sixteen years of age. The first stage in life is that of brahmacharya (studenthood). A student should never eat honey or meat and should never indulge in singing or dancing. He should completely give up violence and speaking to women. His duties are to discuss the shastras (holy texts) and associate with learned men. Apart from that, he will meditate in solitude on the true nature of the brahman. The next stage of life is that of garhasthya (household stage). A brahmana may have four wives, a kshatriya three, a vaishya two and a shudra only one. The husband and the wife should be from the same varna. Marriage across varna is to be avoided. A woman can marry again provided that her husband has disappeared, is dead. has become a hermit or is such a sinner that he is expelled from his own varna. If her husband dies, a widow is permitted to marry her late husband’s younger brother. A householder should get up at dawn and pray to the gods. He should always bathe in the morning. He should not talk impolitely. He should not bite his nails. He should not laugh at those who are inferior. And he should never reside in a place where there is no king, no doctor or no river. He must not insult his elders. He should never criticise the Vedas, the shastras, the devas, the sages and the king. And he must never travel without a light at night. The third ashrama is vanaprastha (forest - dwelling stage). Such a person should always sleep on the ground and wear skins as clothes. He should wear his hair matted and give up the company of other people. He has to serve gods and guests and live on fruit and roots. In the final stage of life (sannyasa) a person becomes a hermit. In this ashrama, a person attains true knowledge and is completely freed. But he should become a hermit only when he is convinced that he has completely lost all interest in material pursuits. Such a person is not affected by birth or death. He realises that the physical body is transient, that it is of no concern at all. It is the knowledge of the atman (soul) that is the best form of knowledge. When one gains this knowledge, one realises the identification of the atman with the brahman, one understands that the brahman is everywhere. If one commits a sin, one has to atone for it. This is known as prayashchitta. If one does not atone for the sins that one has committed, it is the king’s duty to punish the sinner. If one drinks from a well where the dead body of an animal has been floating, one has to fast for three days. The worst possible sins are the killing of brahmana, the drinking of wine and theft. Other sins are criticising the Vedas, the bearing of false witness, killing a friend, killing a cow, forsaking one’s parents or sons, the selling of ponds, murder, lying, killing animals and the cutting down of green trees for fodder. A killer of a brahmana has to build a hut in the forest and live there for twelve years. He has to beg for a living and give up all that he possesses to another brahmana. A killer of cows has to live on just coarse grain for a month. He has to live with cattle and follow them around during the day. All his possessions have to be given up to a brahmana and he has to bathe in cow’s urine for two months. If a brahmana steals gold, he should go and report his crime to the king. The king will then hit him with a club and this will be the brahmana’s prayashchitta. The sin of killing kshatriya is one-fourth the sin of killing a brahmana. If one kills a vaishya, the sin is one-eighth the sin of killing a brahmana. And if one kills a shudra, the sin is one-sixteenth of the sin of killing a brahmana. Killing a cat, a mongoose, a frog, a dog, a lizard or a crow is as sinful as killing a shudra. Depending on the tithi (lunar day), the day of the week, the nakshatras (stars), the month, the season and the position of the sun, certain specific religious rites and ceremonies have to be performed. These are known as vratas. The first day of the lunar fortnight is known as pratipada. The day of pratipada in the months of Kartika, Ashvina and Chaitra are Brahma’s tithis. It is then that the worship of Brahma must be done. On the second day of the lunar fortnight (dvitiya), one should eat only flowers and pray to the two Ashvinis. this makes the supplicant handsome and lucky. Shuklapaksha is that lunar fortnight in which the moon waxes and Shuklapaksha dvitiya in the month of Kartika is earmarked for the worship of Yama. If one performs this vrata, one does not have to go to naraka (hell). This is also the day for praying to Balarama and Krishna. It was on the third day of the lunar fortnight (tritiya), in shuklapaksha and in the month of Chaitra, that Shiva married Parvati or Gouri. Rites performed on this day are thus known as gourivrata. Shiva and Parvati have to be given offerings of fruit. The eight names of Parvati have to be recited. These are Lalita, Vijaya, Bhadra Bhavani, Kumuda, Shiva, Vasudevi and Gouri. Chaturthi vrata is performed on the fourth day of the lunar fortnight, is shuklapaksha and in the month of Magha. This is the day for worshipping the common gods (gana devata). The offerings on this occasion are to be wine and fragrant perfumes. On the fifth day of the lunar fortnight, one performs panchami vrata. This grants good health and takes care of bad omens. Particularly auspicious for panchami vrata are the shuklapakshas in the months of Shravana, Bhadra, Ashvina and Kartika. On the sixth day of the lunar fortnight one performs shashthi vrata. One has to live only on fruit and if one performs this vrata, the fruits of any action that one performs live forever. Shashthi vrata should be observed especially in the months of Kartika and Bhadra. Surya is to be worshipped on the seventh (saptami) day of the lunar fortnight. If saptami vrata is observed in shuklapaksha, all sorrow disappears. Sins are stoned for and all one’s desires are attained. Women who have no children can have sons if they observe these rites. The eight day of the lunar fortnight (ashtami) is very significant. Krishna was born on this tithi in the month of Bhadra when the nakshatra Rohini was in the sky. Ashtami is therefore auspicious in the month of Bhadra. If one fasts on that day and prays to Krishna, the sins of one’s earlier seven lives are atoned for. But this vrata is to be observed in krishnapaksha and not in shuklapaksha, since Krishna was born in Krishnapaksha. Together with Krishna, Rohini and the moon, Devaki, Vasudeva, Yashoda, Nanda and Balarama are also to be worshipped on the occasion. Since Krishna took birth (janma) on this ashtami tithi, this particular day is known as janmashtami. The eighth day of the lunar fortnight can be important even if it is not the month of Bhadra. For example, the eighth day of the lunar fortnight might be a Wednesday (budha vara) in both shuklapaksha and krishnapaksha. Irrespective of the month, such an ashtami is important and is known as budhashtami. On that day one has to live only on molasses and rice and perform the vrata. There used to be a brahamana named Dhira whose wife was named Rambha. Dhira’s son was Koushika, his daughter was Vijaya and Dhira’s bull was named Dhanada. Koushika would go with the other cowherds to graze the bull. Once when Koushika was having a bath in the river Bhagirathi and the bull was grazing, some thieves came and stole the bull. Koushika and his sister Vijaya looked everywhere for it, but could not find it. In searching for the bull, they came to a lake where some women were bathing in the course of performing a vrata. Brother and sister were tired and hungry and they craved for some food. The women agreed to give them food, but only after Koushika and Vijaya had also performed the budhashtami vrata. And as soon as Koushika perfomed the ritual, the bull was miraculously returned to him. Such were the powers of the vrata that Koushika could get his sister Vijaya married off to Yama and himself became the king of Ayodhya. After their parents Dhira and Rambha had died, Vijaya discovered that her father and mother were in naraka. When she asked Yama as to how her parents might be delivered from naraka, Yama told her that Koushika and Vijaya should perform budhashtami vrata again. And immediately after they did so, the parents attained svarga. The ninth day of the lunar fortnight is navami and navami in shuklapaksha, especially in the month of Ashvina, is earmarked for the worship of Gouri. An animal has to be sacrificed and offered to the goddess on this occasion. The brahmanas become all powerful if they observe dashami vrata on the tenth day of the lunar fortnight and donate ten cows. The eleventh day of the lunar fortnight (ekadashi) is for fasting. It is also the tithi for praying to Vishnu. The observance of ekadashi vrata grants sons and wealth and atones for one’s sins. The twelfth day of the lunar fortnight is dvadashi. Any dvadashi in shuklapaksha is auspicious for worshipping Vishnu. Duadashi in the month of Bhadra is for praying to cows and calves and in the month of Chaitra it is for praying to the god of love (Madana). If one observes dvadashi for an entire year, one never has to go to naraka. An especially good conjunction is dvadashi in shuklapaksha in the month of Bhadra when the nakshatra Shravana is in the sky. if one fasts and observes a vrata then, one earns greater punya than from bathing in the confluence of sacred rivers. If Budha (Mercury) is also in the sky, the punya is multiplied severalfold. Trayodashi vrata is on the thirteenth day of the lunar fortnight and this ritual was first performed by the god of lover when he wanted to please Shiva. This is the tithi on which Shiva is worshipped. In the month of Ashvina, Indra is also revered on this tithi. And in the month of Chaitra, the god of love is worshipped in shuklapaksha on the same tithi. The fourteenth day of the lunar fortnight (chaturdashi) is also earmarked for Shiva, particularly in the month of Kartika. One fasts and donates to brahmanas and thereby attains svarga. The chaturdashi in krishnapaksha that comes between the months of Magha and Falguna is known as Shivaratri. Then one has to fast and stay awake the whole night. Earlier, there used to be an evil hunter named Sundarasena. But because he performed a vrata on Shivaratri, all his sins were forgiven. If one worships Vishnu with flowers, one never goes to hell. There are several such hells. Although people do not wish to die, they are bound to die once their predestined time span on earth has been exhausted. One then has to pay for whatever sins one might have committed. The sinners suffer and those who have performed good deeds are naturally rewarded. There are in fact two gates that lead into Yama’s abode. The good are brought by yamadutas (Yama’s servants) through the western gate and are then taken to svarga. Yama’s servants bring the evil to him through the southern gate and Yama then despatches them to the various hells. If one kills a cow, one has to spend one lakh years in a naraka known as mahavicha. If one kills a brahmana or steals land, there is a burning naraka named Amakumbha that one goes to. There one suffers till the day when the world is destroyed. A killer of women, children or old men stays in Rourava naraka for the span of fourteen manavantaras. An arsonist is sent to Maharourava and burnt there for an entire kalpa. A thief goes to Tamisra, were he is continuously pierced with spears by Yama’s servants for several kalpas. After that, a thief is taken to Mahatamisra to be bitten by snakes and insects. If you kill you father or mother, you will be sent to the hell Asipatravana. There you will be continuously sliced into pieces with swords. If you burn someone to death, you will go to Karambhavaluka where you will be placed on burning sands. A person who eats sweets alone goes to Kakola and is fed only worms. A person who does not perform yajnas goes to Kuttala and is fed blood. An oppressor is sent to Tailapaka and is crushed like an oilseed there. A liar is sent to the naraka named Mahapata. There are several other narakas for those who encourage inter-class marriages, those who kill animals, those who cut trees, those who eat too much meat, those who criticise the Vedas, those who bear also witness and those who criticise their teachers. Giving alms is extremely important as means for achieving punya. Alms always have to be donated when one goes to visit a temple or a place of pilgrimage. The giver must always face the east and the receiver must always face the north when alms are being given. Such donations have to be made after one has had a bath. The best objects for donations are gold, horses, oilseeds, snakes, maids, chariots, trees, houses, daughters and cows. If one promises to give something but later goes back on one’s promise, one is sure to be destroyed. It should be remembered that the entire object of donation alms is lost if one expects gratitude or friendship in return. It is better to give something to a brother than to a daughter, it is better to give to a father than to a mother. The entire concept of donation alms is different in the four different eras. In satya yuga, the giver went out in search of recipient to whom he could give something. In treta yuga, the recipient had to come to the giver’s house before he would be given anything. In dvapara yuga, the giver never gave anything without being asked for it by the recipient. And in kali yuga, the giver gives only to those who are servile to him. Gayatri mantra is a very powerful incantation. The human body has many veins. Out of these, ten veins are important and their names are Ida, Pingala, Sushumna, Gandhari, Hastijihva, Pritha, Yasha, Alambusha, Huha and Shankhini. These veins bear the breath of life. The breath of life is called prana vayu. Apart from prana vayu, nine other major breaths course through the human body. Their names are Apana, Samana, Udana, Vyana, Naga, Kurma, Krikara, Devadatta and Dhananjaya. Gayatri is a goddess worshipped even by Vishnu and Shiva. This goddess is there everywhere, even in every individual’s heart in the form of a swan. Gayatri mantra is an incantation to the goddess. If one chants the mantra seven times, one’s sins are forgiven. Chanting it then times means that one attains svarga. To attain worlds (lokas) which are even more desirable than svarga, one has to chant gayatri mantra twenty times. If one chants the mantra a hundred and eight times, one does not have to be born again. The severest of sins, like killing cows, brahmanas or parents, are forgiven if one chants the mantra a thousand times. Gayatri mantra has always to be preceded by the chanting of the sacred syllable Om. The king’s duties are many. He has to punish his enemies, ensure the prosperity of his subjects and arrange that his kingdom is ruled well. He has to protect the sages who perform tapasya inside the boundaries of his kingdom. A king should appoint a wise brahmana as his priest. His ministers should also be wise and his queen should be a woman who follows the path of dharma. When a king dies, time must not be wasted. The priest must immediately find an auspicious occasion so that a new king can be appointed and crowned. A kingdom can never be without a king. Before the coronation, a prospective king has to purify himself by rubbing his body with mud. Mud from a mountain peak is used for the ears, form a Krishna temple for the face, from an Indra temple for the back, form a palace for the chest, mud raised by an elephant’s tusks for the right hand, mud raised by a bull’s horns for the left hand, mud from a yajna for the things and from a cowshed for the feet. After the king has thus rubbed himself with different forms of mud and purified himself, he is ready to be anointed. Four types of ministers will appoint him. Brahmana ministers with golden vessels full of clarified butter will stand of the eastern side. Kshatriya ministers with silver vessels full of sweet and thickened milk will stand on the eastern side. Vaishya ministers with copper vessels full of curds will stand on the western side. And shudra ministers with earthen vessels full of water will stand on the northern side. The priests will then use material from all four directions to anoint the king. Water from all the places of pilgrimage will be poured on the king’s head and throat. There must be songs and musical instruments must be played. The king will next pray to Brahma, Vishnu, Indra and the other gods. He will look at a mirror, some clarified butter and the various signs of good omen that have been placed all around. The king will then be crowned and introduced to his ministers, advisers and guards. The priest will be given cows, goats, buffaloes and houses by the king. He will also bow before the brahmanas. After all these ceremonies have been completed, he truly becomes the king. He circles the fire, touches his guru’s feet and with all his soldiers, goes out on a procession through the streets so that his subjects can see him. At that time, the king must be seated either on an elephant or a horse. After the procession is over, the king may return to his palace. The king has to appoint many officials. The general has got to be a brahmana or a kshatriya. The charioteer must know about horses and elephants, and treasurer must be familiar with different jewels. There has to be a doctor, a keeper of elephants, a keeper of horses, a captain for the palace and another captain for looking after the women of the royal household. Each person must be appointed to the job which suits his expertise and temperament best. Anyone thus appointed by a king has to stick to certain rules. He must always obey the king’s orders and must never do anything that is contrary to the king’s commands. In public he must always say pleasant things to the king. If there are any unpleasant utterances to be made, they have to be made in a private audience with the king. Those who serve the king must not be thieves, nor must they ever insult the king. They will not dress like the king, nor will they become too intimate with the king. They must not divulge royal secrets. For a fort, the king should choose a place that cannot readily be attacked by enemies. The king must ensure that the gods are worshipped, the subjects are protected and the evil are punished. He should never steal form the temples, instead he should build temples and set up idols of the gods there. The brahmanas must also be protected and the king has to make sure that no brahmanas are killed in his kingdom. For a queen, he has to choose a woman who subscribes to these beliefs. The king will appoint an official to look after every ten villages and another official to look after every hundred villages. Spies must be appointed to find out all that is going no in the kingdom. The king is entitled to one-sixth of all the punya that accrues in his kingdom through his subjects. But he is also credited with one-sixth of all the sins that are committed in his kingdom. The taxes will be levied as per the dictates of the sacred texts. From whatever is received as taxes, half will go into the royal treasury and the remaining half will be distributed amongst the brahmanas. If there is a liar, the king will impose a penalty on him to the extent of one-eighth of the liar’s total wealth. If the owner of any property is not known, the king will keep the property is not known, the king will keep the property is safe custody for a period of three years. Once the owner is identified within a period of three years, he can claim the property. But beyond three years, the becomes entitled to the property. The property rights of any minor orphan are to be protected by the king. If there is a theft in the kingdom, the king must immediately replace what has been stolen with wealth taken from his own royal treasury. If the thief is caught and the stolen goods recovered, they are used to replenish the treasury. One-twentieth of profits made form trade are to be paid to the king as taxes. One-fifth or one-sixth of foodgrains are to be paid as taxes. One day every month, craftsmen will work free of charge for the king. They will only be gives food from the royal kitchen. The king has to pay proper attention to the princes. They have to be taught four types of shastras. The first is dharma shastra, which teaches what is right and what is wrong. The second is artha shastra, economics. The third is dhanurveda, the art of fighting. And the last subject that has to be taught to princes is shilpa, arts and crafts. The king has to assign bodyguards to take care of the princes. He must ensure that the princes associate with honourable and learned people and not with undesirable characters. In instances where the princes do not grow up properly despite the king’s best efforts, the king is free to keep them imprisoned. But they should be comfortable in the prison and should not be made to suffer there. The king should give up hunting, drinking and the playing of dice. He must not unnecessarily waste time in travelling around. He must first win over his servants through his behaviour and then do the same for his subjects. It is only after this has been achieved that he attains a position to conquer his enemies through the use of arms. Anyone who brings harm to the kingdom must immediately be killed. If the king delays in doing that which has to be done, the purpose of the action is completely lost. Nor must the king inform others in advance about what is going to be done. No one must get to know about the king’s intended actions. Once the actions have been completed, the fruits of the actions performed are information enough for everyone to see. This does not mean that the king will not consult his ministers. Of course he will, that is why they are ministers. Before sleeping or eating, the king must check whether the bed or the food is safe. There were seven techniques that kings were supposed to use in ruling their kingdoms. These were known as sama, dana, danda, bheda, maya, upeksha and indrajala. Of these, the first four are the most famous. Sama means the art of gentle persuasion. Dana means the usage of donations or money to achieve one’s purpose. Danda is punishment. And bheda is the art of aggravating dissension amongst parties opposed to each other. Maya means to use illusions or deceit and upeksha is to deliberately ignore people so as to achieve one’s purpose. Indrajala literally means jugglery. In this context, it would mean to perform a balancing act amongst opposing pulls and opposing parties. What sort of punishment the king should mete out is also laid down. If anyone lies and says that his possessions have been stolen, he is to be fined an amount equal in value to that of the possessions which have supposedly been stolen. A brahmana who bears false witness is to be banished from the kingdom. A person who kills cows, elephants, horses or camels will have a leg or a hand cut off. A thief who steals gold or silver or an abductor of women will be executed. Execution is also prescribed in cases of arson and poisoning. A wife who does not obey her husband shall be torn to death by dogs. A woman who does not obey her husband or brahmanas may also have her nose, ears or arms chopped off. She will when be set astride a cow and banished from the kingdom. Some dreams are bad omens. In fact, they are nightmares. Examples are: dreams about grass or trees growing on one’s body, dreams in which the dreamer is shaven-headed or is wearing shabby clothes or dreams in which one is falling form above. It is also bad to dream of marriages, singing, the killing of snakes and the killing of chandalas or animals. If you dream that you are drinking oil or eating bird meat, that is also a bad omen. Other examples are: where the dreamer dreams that he is playing with monkeys or chandalas, when he dreams that devas, brahmanas, the king or the guru is angry or when he dreams that his house had collapsed. Remedies have to be found if one dreams such evil dreams. Brahmanas have to be worshipped, a yajna has to be performed and the dreamer has to pray to Vishnu, Shiva, Brahma, Ganesha or Surya. Dreams dreamt in the first quarter of one’s sleep normally come true over the next one year. Dreams from the second quarter come true over the next six months and dreams from the third quarter over the next three months. Dreams from the last quarter come true over the next fortnight and dreams dreamt right at dawn come true within the next ten days. If one first dreams a good dream and then an evil one, it is the evil dream the will come true. Therefore, if one dreams a good dream, one should not sleep anymore. One should immediately arise. There are many dreams that are good dreams. For example, dreams that involve mountains, palaces or snakes. Or the dreamer might dream that he is riding on a horse or a bull. It is also good to dream of white flowers in the sky or to see trees in a dream. Especially good dreams are those of the dreamer’s possessing many arms or many heads or of grass and bushes sprouting form his navel. What if you dream of wearing white garlands or clothes? That too is good. If you dream of eclipses of the sun, the moon or the stars, by all means rejoice. And if in a dream you see that you have caught hold of the enemy’s flag, that surely means that you will triumph over the enemy. And if you actually dream of defeating the enemy, the interpretation is clear enough. Strangely enough, a dream where the dreamer sees that he is eating rice pudding is a good dream. As is the case with dreams of drinking wine or blood. Or even of eating wet meat. A clear sky in a dream is good. Dreaming of milking a cow or a buffalo with one’s own mouth is also good. The dream continues to be a good one if one dreams of milking a lioness or a she-elephant thus. Other dreams which have good interpretations are, for example, dreams of the dreamer’s receiving blessings form devas or brahmanas or of being anointed with water. The dreamer who dreams of his coronation is blessed. And he is doubly blessed if he dreams that his head has been cut off or that he has died or even that his house has been burnt down. The relatives of such a dreamer increase in number and he also prospers. It is good to dream of musical instruments being played. Or of riding a bull or climbing a tree. Wet clothes, trees laden with fruit and clear blue skies in dreams are especially good. If one is about to go out of the house, one should take care of any bad omens that there might be. Such bad omens are cotton, dried grass, cowdung, coal, molasses, leather, hair, a lunatic, a chandala, a widow, a dead body, ashes, bones and a broken vessel. If one comes across these as one is about to leave, one should not start without pacifying the elements through prayers to Vishnu. The sound of musical instruments is not an auspicious sound at the beginning of a journey. If the means of transport by which one is travelling breaks down, that too, is a bad omen. If weapons break, perhaps you should postpone the journey. The same is the case if an umbrella held over one’s head happens to fall. If one hits one’s head against the lintel of the door as one is about too cross the threshold, prayers are again indicated. And never call back someone who has just left. That is a bad omen and bodes ill for the success of the journey. There are good omens for a departure and if one sees these good omens, the journey is bound to be successful. Good omens are white flowers, full vessels, meat, distant noises, an old goat, a cow, a horse, an elephant, fire, gold silver, a sword, an umbrella, fruit, clarified butter, curds, a conch shell, sugarcane, the sound of thunder, lightning and a dead body with no one crying over it. Omens are important even if one is not going on a journey. A peacock crying on the left means that something is going to be stolen. If a donkey brays with a broken voice, that is good omen and something good will happen. If a boar or a buffalo crosses over from the left to the right, that is a good omen. But if they cross over from the right to the left, that is a bad omen. One’s desires will be attained if horses, tigers, lions, cats or donkeys cross over from the right to the left. jackals, moles, lizards, pigs and cuckoos are good omens or the left and monkeys are good omens on the right. If a jackal calls once, twice, thrice or four times, that is a good omen. It is a bad omen if a jackal calls five or six times. It is a very good omen if a jackal calls seven times. If crows caw on the left of an army, the soldiers will not be able to win. If a crow can be seen near the door a house, this means that there will soon be a guest. A crow looking at the sum with one eye signifies great danger. A crow covered with mud means the attainment of one’s desires. A dog barking inside the house leads to the death of the householders. A person whose left limbs are sniffed by a dog, will attain riches. If the right limbs are sniffed, there will be danger. A dog blocking one’s path signifies theft. A dog with a bone or a rope in its mouth means the loss of property. But it is a good omen to see a dog with meat in its mouth. Cows mooing irregularly mean threats to the master of the house. If this happens at night, there will be a theft or a death in the house. If the cows have horns that are wet or daubed with mud, that is a good sign for the householders. A cow that plays with cranes or doves is bound to die. A cow that licks its feet is also destined to die. If an elephant strikes its right foot with its left, that is a good sign. Prosperity comes if an elephant rubs its right tusk with its foot. There is great danger if an umbrella falls just as one is about to leave on a trip. Journeys are to be avoided if the stars are not favourable. Once a king decides to go out to battle, seven days are needed for preliminaries. On the first day, Vishnu, Shiva and Ganesha have to be worshipped. On the second day the dikpalas (guardians of all the directions) are worshipped, the Rudras on the third day, the planets and the stars on the fourth day and the two Ashvinis and the rivers on the fifth day. On the sixth day, the king has ceremonial bath in honour of the victory that is to come. And on the seventh day, the king leaves to do battle. Prior to the marching, the army must always assemble to the east of the capital city. The start of the march must be accompanied with the playing of musical instruments. Once the army has begun to march, it must never look back. After having travelled for a couple of miles, it must stop to rest any pray to the gods and the brahmanas. The king must never directly fight. Because if the king is killed, the battle is lost. The king must be right behind his army, not too far away from it. An elephant will be guarded by four chariots, a chariot by four horses and a horse by four infantrymen. The infantry will also be at the front of army, followed by archers and then by the horses. The chariots and the elephants come last of all. The cowards in the army must not be in the front, they must be at the back. The front is for the brave soldiers. To the extent possible, one should fight with the sun behind one’s army. If a soldier dies in the course of battle, he goes straight to heaven. The blood of brave men wash away all sins. To be struck with a weapon is better than to perform many sacrifices. A person who flees form the field of battle performs a sin that is worse than that of killing a brahmana. The fight should be between equals. Those who are running away should not be killed. Nor should spectators and those who are unarmed be killed. An enemy captured in battle should not be kept imprisoned. He should be released and treated like a son. Rama had once taught Lakshmana about the duties of a king. The Agni Purana now relates these precepts of Rama’s. The duties of king are fourfold. Firstly, he has to earn wealth. Secondly, he has to increase it. Thirdly, he has to protect it. And fourthly and finally, he has to donate it. The king must also be polite and politeness comes through the conquering of the senses. The king must be humble. The senses are like mad elephants. If the senses are pampered, like mad elephants, they trample politeness and humility underfoot. The king must also be non-violent, truthful, clean and forgiving. He should take care to observe all the rituals. He should give food to those who are poor, he should protect those who seek royal protection. He should always use words that are pleasant to hear. The body is here today and gone tomorrow. Stupid is the king who deviates form the path of righteousness to give pleasure to a body that is transient. The curses of unhappy people are enough to bring down a king. There is only one difference between gods and animals. Gods use pleasant word, while animals use rough words. The king must use pleasant words like a god. And he must use pleasant words not only for those who are his friends or are good, but also for those who are his enemies or are evil. With obeisance the king pleases his guru, with good behaviour the righteous, with duties the gods, with live the servants and with alms those who are inferior. The kingdom has seven components. These are the king, the ministers, the friends, the treasury, the army, the forts and the state itself. Of these, the most important is the state and it has to be preserved at all costs. The king must be extremely careful in the choice of the ministers and the royal priest. The king must not choose or consult ministers who are stupid. The king’s signs are his golden rod or sceptre and an umbrella that is held over his head. The umbrella should be made of the feathers of swans, peacocks or cranes, but the feathers of different types of birds should not be mixed in the same umbrella. The throne should be made of wood and should be embellished with gold. A bow can be made of iron, horn or wood. The best bow is one that extends over four armlengths. The king can spend upto one year’s tax revenue on armaments and flags. This Chapter contains 6 Sections. The section on Dhanurveda is on arms and weapons. There are five types of weapons that are used in war. The first category is that of yantramukta weapons, released from a machine (yantra). This machine may be a launcher or even a bow. The second category is that of panimukta weapons, weapons that are flung by the hand (pani). Examples are spears and stones. The third category is known as muktasandharita. These are weapons that can be flung and also withdrawn. The fourth category consists of weapons like swords that are never released from the hand during battle. These are known as amukta weapons. And the last category of weapons consists of brute force and strength. This is of use in bouts of wrestling. The best form of fighting is that with bows and arrows. Next comes fighting with spears, followed by fighting with swords. Wrestling is the worst form of fighting. Before aiming, the bow (dhanusha) should be held with the arch pointing down towards the earth. The arrow (vana) should be placed against the bow with the head pointing down. The bow should now be raised and the lower end of the bow should be in line with the archer’s navel. The quiver should be at the back. Before releasing the arrow, the bow should be held firm with the left hand and the arrow with the fingers of the right hand. The string of the bow should be pulled back such that the tassel of the arrow is between the archer’s ear and right eye. The body should not be bent when one is releasing an arrow. Nor should on get excited. The archer has to be still as a pillar. The target has to be in line with the left fist and the archer’s posture has to be like that of a triangle. It is best to pull back the string of the bow upto the right ear. A noose (pasha) is ten arms in length, with both ends of the weapon being circular. The main body of the weapon is made of rope. There are eleven different ways in which a noose may be held. A noose must always be flung with the right hand. A sword (asi) must hang to the left of the waist. When a sword is to be taken out, the scabbard should be grasped in the left hand and the sword should be taken out with the right hand. There are thirty-two different way in which a sword and a shield may be held. What happens to a person’s debts when he dies? If he does not have any sons, the person who inherits the property also inherits the debts and had to pay them off. If there is a son, the son pays the debts off. But a woman is not to be held responsible for debts contracted by her husband or her son. Nor is a man responsible for debts contracted by his wife or son. Exceptions are instances where a husband and a wife contract a debt jointly. If there are no witnesses to a contracted debt but the king feels that the debt was indeed contracted, the king must arrange for the debt to be repaid within a period of sixty-four days. In cases of a dispute, the person who brings a false suit will be punished by the king. And a false witness will be given twice the punishment that is meted out to the one who brings a false suit. A brahmana who bears false witness will be banished from the kingdom. A person who agrees to be a witness, but later withdraws, will be punished eight times as much as the bringer of the false suit. A brahmana who does this will be banished from the kingdom. It is better that the details of a debt contracted be written down, with the names of the two parties and the witnesses clearly indicated. If the debtor pays in instalments, the details of all such payments must be recorded on the written document. Debts made in the presence of witnesses should also be repaid in the presence of witnesses. If a witness has to take an oath, the oath should be administered after cotton, fire, water or poison has been placed on the head of the witness. Fire or water can be used to find out if a person is lying or not. If fire is used, seven banyan leaves are placed on the accused’s hand. A red hop lump of iron is then placed on the hand and the accused had to go around a fire seven times. If it is found that the hand has not been burnt, the person has been telling the truth. And if the hand has been burnt, he had been lying. Similarly, an accused person can be immersed in the water and if he does not drown, he has been telling the truth. Alternatively, the accused can be made to drink poison. If the poison does him no harm, he is truthful. If the father makes a will, the property will be divided amongst the sons in accordance with the provisions of the will. But if all the sons get an equal share of the property, the wife should also be given an equal share, otherwise, the father can leave all his property to the eldest son. The sons and the father obtain equal shares to any property or debt that has been left by the grandfather. But the sons are not necessarily entitled to any property that has not been left by the grandfather, but been earned by father. If a son is born after the property has been divided, he too will be entitled to an equal share of any property left by the grandfather. Daughters are not entitled to property. But sons who have go married will use one-fourth of their inherited property to get their sisters married. The Agni Purana now describes the benefits of giving alms along with the purans. The puranas are to be donated together with cows. And in talking of the mahapuranas, the Agni Purana also mentions most of their length, in terms of the number of shlokas (couplets) that each has. This is worth stating. The only mahapurana which is missing from the above list is the Bhavishya Purana. You now have a pretty good idea of how long the Puranas are. The Skaknda Purana is the longest and the Kurma and Garuda Puranas the shortest. But unfortunately, the numbers in the Agni Purana are not terribly accurate. The Padma Purana has fifty-five thousand couplets and not twelve as stated. The Varaha Purana has twenty-four thousands couplets and not fourteen thousand. The Agni Purana itself has slightly over fifteen thousand couplets land not twelve thousand. But at least you have some approximate idea about the lengths of the various Puranas. The Brahama Purana is to be given in the month of Vaishakha. The Padma Purana is to be donated in the month of Jyaishtha. The Vishnu Purana is to be donated in the month of Ashada and the Vayu Purana in the month of Shravana. The Bhagavata Purana is to be given in the month of Bhadra, the Narada Purana in the month of Ashvina, the Markandeya Purana in the month of Kartika, the Agni Purana in the month of Margashirsha and the Bhavishya Purana in the month of Pousha. The Brahmavaivarta Purana in the month of Pousha. The Brahmavaivarta Purana is for the month of Magha, the Linga Purana for the month of Falguna and the Varaha Purana for the month of Chaitra. The Skanda Purana is to be given to brahmanas. The Vamana Purana is to be given in the autumn. The Kurma Purana is to be given together with a golden urn. The Matsya Purana is to be donated together with a golden swan. The Brahmanda Purana is to be given to brahmanas. Great benefits are also to be derived from hearing the Puranas recited. The reciter has to be given alms and the brahmanas must be given cows, rice and land at the time of the recitation. If one arranges for a recitation of the Puranas, one lives long, stays healthy and attains heaven. Brahma was born from Vishnu’s navel. Brahma’s son was Marichi, Marichi’s son Kashyapa and Kakshyapa’s son Vivasvana. From this line was descended Pururava and Pururava’s descendants were the kings of the surya (solar) dynasty. Brahma also had a son named Atri and Atri had a son named Soma. Soma performed a rajasuya yajna (royal sacrifice). Having performed the sacrifice, Soma became the ruler of all the worlds. This made him very arrogant and he abducted the sage Brihaspati’s wife Tara. This led to a terrible war between the devas and the asuras. Tara was eventually restored to Brihaspati, but Soma and Tara had a son named Budha. From Budha were descended the kings of the chandra (lunar) dynasty. There were twelve major wars between the devas and the asuras. The first of these was known as the Narasimha War. This took place when Hiranyakashipu was the king of the asuras. Vishnu adopted the form of Narsismha and killed Hiranyakashipu. He then made Prahlada the king of the demons. The second war was the Vamana war and it took place when Vali was the king of the demons. Vishnu adopted the form of a dwarf (vamana) to subjugate the demons. The third war was the Varaha war and this took place when Hiranyaksha was the king of the demons. Vishnu adopted the form of a wild boar (varaha) and killed Hiranyaksha. The fourth war was the Amritamanthana war and this took place over the manthana (churning) of the ocean for amrita (nectar). The fifth war between the devas and the asuras took place over the abduction of Tara and this came to be known as the Tarakamaya war. The sixth war was known as the Ajivaka War. The seventh war took place when Tripura led the asuras and this was known as the Tripuraghatana war. It was Shiva who killed the demon Tripura in this war. The eighth war, the Andhaka war, took place when Andhaka led the asuras. It was Vishnu who engineered that Andhaka be killed when Andhaka expressed a desire to abduct Shiva’s wife. The ninth war was known as Vritrasamhara and took place when Vritra led the demons. The tenth war was simply known as Jita. In this war, Vishnu killed Shalva and the other demons, and Parashurama killed the evil kshatriyas. The eleventh war was known as Halahala. An asura named Halahala (poison) had invaded Shiva’s body and flooded it with poison. But Vishnu managed to destroy the demon. In the twelfth war, known as Kolahala, Vishnu destroyed an asura named Kolahala (tumult). Dhanvantari was the physician of the gods and he taught Sushruta the art of ayurveda (medicine). The Agni Purana now describes what the sage Ssushruta had learnt, that is, the treatment for various diseases. This does not simply mean the treatment of human illnesses. There is a section known as vriksha ayurveda, which describes what trees are to be planted where. It describes how a garden is to be constructed and maintained. The chapters on medicine also describe the treatment of elephants, horses and cattle. The mantras (incantations) which are the remedy for snake poison are also related. Thereafter, the Agni Purana has many chapters on literature and grammar. It describes the different types of chhanda (metres) that are used in poetry. Next it discusses the alphabet. There are sixty-four letters (varna) in the alphabet, of which twenty-one are vowels (svara varna). There are three tones (svara) in which the letters of the alphabet may be uttered. Their names are udatta, anudatta and svarita. There are eight places from which the letters may be pronounced. These are the chest, the throat, the head, the back of the tongue, the teeth, the nose, the lips and the palate. Pronunciations should be clear and audible. They should not be nasal and mumbled. The Agni Purana then discusses the alamkaras (rhetoric) that are used in poetry and plays. 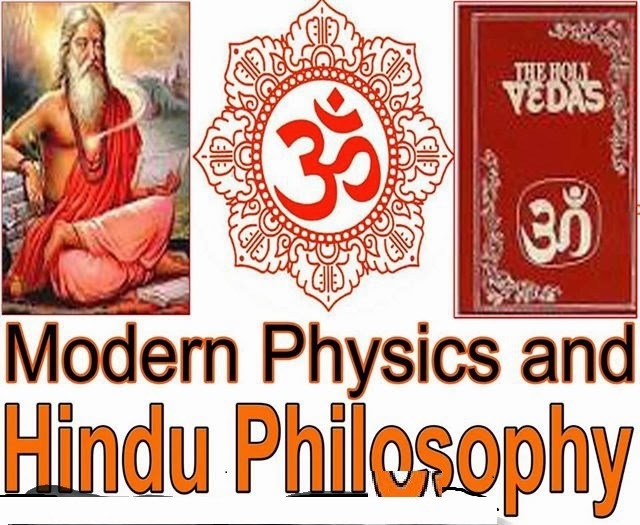 Poetry is entirely different from the shastras (sacred texts) and itihasa (history). The sacred texts are full of words and historical texts are full of narrations of incidents that took place. But that does not constitute poetry. Real men are difficult to find on this earth. Amongst these real men, it is difficult to find men who are learned. Amongst the learned men, it is not easy to find some who have a poetic sense. And amongst those who have poetic sense, it is difficult to find a few who can compose poetry. Poetry is impossible without a knowledge of the rules of poetry and even more important, without a sense of feeling. Gadya can be of three types-churnaka, utkalika and vrittagandhi. Churnaka prose is easy on the ears, it has very few compouond words. Utkalika prose is hard on the ears, it is full of compound words. Vrittagandhi prose is some where between churnaka and utkalika. An epic must always be split up into sections (sarga). It has to be written in Sanskrit, although some mixture of Sanskrit words with Prakrita ones is permissible. The theme of an epic must always be good and historical elements may be introduced if the author so desires. Literature is useless without the flavour of sentiments (rasa). There are nine sentiments that are used. The first is hasya (humour). The second is karuna rasa (pathos). The third is roudra rasa (that which is wrathful and awe-inspiring). The fourth is vira rasa (heroic themes). The fifth is bhayanaka rasa (horror). The sixth is bibhatsa rasa (vulgar and obscene themes). The seventh is adbhuta rasa (that which is strange). The eighth is shanta rasa (placidity). And the ninth is shringara rasa (amorous themes). But the sentiments must be used with feeling. Without feeling, all literature becomes mediocre. Particularly in a play, sentiments can be supplemented with skills (kalal). These skills are normally associated with women and there are sixty-four of them. The more important ones are singing, playing musical instruments, dancing, acting, drawing, making garlands, sewing, hairdressing and using magic. Grammatical rules of sandhi and samasa (rules for forming compound words) are next described. The difference between the two is that in sandhi, the two words that are being joined retain their original senses in the compound word. The case of samasa is different. Sandhi occurs when two varnas (letters) met. Samasa is a condensation or conversion of two or more words into one. Sandhi does not create any new word. Samasa leads to the formation of a third word which refers to something related to but distinct from either or any of the words combined. Pita (yellow) and ambara (cloth) combined by way of sandhi are pronounced pitambara and mean cloth that is yellow. The same two words combined by way of samasa result in the third word pitambara which means “the one dressed in yellow”, that is, Krishna. There are several possible declensions of words, depending on the vachana and the vibhakti. The vachana refers to the number. Eka-vachana is when there is only one (phalam, a fruit) dvi-vachana when there are two (phale, two fruits) and vahu-vachana when there are more than two (phalani, more than two fruits). There are three genders, pumlinga (masculine), strilinga (feminine) and klivalinga (neuter). Deva, asura, Vishnu are, for example, masculine in gender. Devi, Kalika or maya are feminine. Pushpa (flower) or phala (fruit) are neuter. There are six karakas (cases) and seven vibhaktis (case-endings). The agent who performs the action indicated by the kriya (verb), is the kartri or doer. To the kartri karaka or Nominative Case, the prathama vibhakti or first case-ending is attached. The object of the action is karma and to the karma karaka or objective Case, the second (dvitiya) case-ending is attached. The means or instruments by which the action is performed takes on the karana karaka or Instrumental Cases and the third (tritiya) case-ending. When a gift is given irrevocably, the recipient takes on the sampradana karaka or Dative Case and the case-ending in question is the fourth (chaturthi). That which is the source of something takes on the apadana karaka or Ablative Case and the fifth (panchami) case-ending. When there is a relation of possessions, the possessor takes on the shashthi vibhakti (sixth case-ending). There is no counterpart of the possessive Case of English grammar because the relation of possession is not directly related to the verb (kriya) and therefore to the doer (karaka). In case of the location in which the action takes place, the karaka is adhikarana (Locative Case) and the case-ending the seventh (saptami). This Chapter contains 5 Sections. Periodically pralayas (destructions) take place. A destruction comes at the end of four thousand yugas on earth. For a hundred years there are no rains and there is widespread drought. Thereafter, Vishnu uses the rays of the sun to drink and dry up all the waters that there are on earth. Seven different suns appear in the sky and they burn up the three worlds of heaven, the earth and the underworld. The earth becomes as flat as the back of a turtle. The breath of the great snake (Shesha) also serves to burn up the three worlds. After the three worlds have been burnt up, dark clouds full of thunder and lightning appear in the sky. For a hundred years it continue to rain. The rain puts out the fires that have been raging. From Vishnu’s breath are created tremendous winds and these drive away the clouds. But there is water everywhere. And Vishnu sleeps on these waters. For an entire kalpa he sleeps. The sages then pray to Vishnu for the three worlds to be created yet again. When human beings die, their physical bodies are given up. But they acquire new bodies that are known as ativahika bodies. In these bodies, they are brought to Yama’s abode by Yama’s servants. Living beings other than human are not brought to Yama. Yama then decides whether the dead person should go to heaven or to hell. After he has served his time in heaven or in hell, he is born again. Yama further decides what living being the person should be born as, depending on the actions in his past life. And so the cycle of birth death and rebirth goes on and on. Since he keeps tally of all good deeds and all sins, Yama is also known as the god Dharma. Those who have done good deeds are rewaraded by Yama and those who have committed sins are punished. Chitragupta is Yama’s accountant, he keeps the account of all punya and papa. There are twenty-eight circles of hells with many hells located in each circle. A sinner may have to go to more than one hell depending on the sins that he has committed. Some sinners are boiled in oil, others are pierced with spears and still others are whipped. Some sinners are fed heated iron balls, others are fed blood and rubbish. There are also machines for torturing sinners. Terrible birds eat up some sinners. Other sinners have their heads cut off. When it is time to be reborn, the killer of a brahamana is born as a deer, dog, pig or camel. A drunkard is born as a donkey. A stealer of gold is born as a worm or an insect. A killer of a brahmana may also suffer from tuberculosis. a drunkard will have teeth like a dog and a stealer of gold will malformed nails. A stealer of food is born dumb. A person who has stolen the property of brahmanas is born as a rakshasa and lives alone in the forest. A stealer of fragrant scents is born as a mole. One who steals foodgrains is born as a rat. One who steals animals is born as a goat, one who steals milk as cow, one who steals fruit as monkey and one who steals meat as a vulture. A stealer of clothes is born as a crane and a stealer of salt as a cricket. Yoga is the way to circumvent the miseries of life. True knowledge is that which informs one about the true nature of brahman or paramatman. The atman or jivatman is that which characterises an individual. Yoga means union, it is the union of the jivatman with the paramatman. Yoga concentrates one’s mind on the paramatman. The first prerequisites of yoga is non-violence. A non-violent person is always righteous. The second requirement of yoga is truthfulness. The third prerequisite is celibacy. The fourth is controlling one’s senses and the last is the worship of god. One who practices yoga should not go around collecting material possessions. A piece of cloth, a covering against the cold, and a pair of sandals are possessions enough for him. Before meditating on the true nature of the paramatman, one has to seat oneself in a proper asana (posture). The piece of cloth on which one is to sit should be placed in a clean place. One sits on such a seat and tries to purify one’s atman by controlling one’s mind and senses through yoga. The head and the neck should be held straight up, motionless. The point of vision should be directed towards the tip of one’s nose. One should not look in any direction. The arms should lightly rest on the folded thighs and the right hand should be placed, palm upwards, on the left palm. Padmasana (lotus position) is one such recommended posture. The breath of life (prana vayu) has to be controlled. This process of control is known as pranayama. A finger is placed on the nose when the breath is being exhaled. The entire breath should be exhaled from the body. Since rechana means exhalation, this process of control is known as rechaka. When the breath is inhaled, the inhalation should be such that it fills the entire body. Since puraka literally means ‘that which fills’, this process of control is known as puraka. When the breath is neither being exhaled nor inhaled, one sits completely still like a kumbha (pot) and this is known as kumbhaka. Pranayama makes one healthy, swift, enthusiastic, strong and collected. Since the senses are controlled, one goes to heaven and avoids going to hell. Material pursuits are like the strong current of a river. The atman drowns in it. Pranayama alone is not enough. It has to be supplemented with dhyana of japa (meditation and contemplation). One contemplates the true nature of the paramatman. The body is like a chariot. The senses are its horses, the mind is the charioteer and pranayama is the bridle. An individual who dies while performing dhyana is immediately assimilated with Vishnu. Dhyana involve four different things, all of which must be in complete harmony. The first is the meditator, the second is the act of meditating, the third is the object that one is meditating upon and the fourth is the reason why one is performing the mediation. One does not have to; sit in a rigid posture for dhyana to be possible. It can be done while one is walking, sitting or even sleeping. The important aspect is to establish the object of one’s meditation in one’s heart. There are different ways of establishing one’s concentration. As an object of meditation, one can meditate on three concentric circles which are black, red and white. In the centre of the circles is a divine lotus. The lotus has eight petals. One thinks that detachment is the stem of the lotus and praying to Vishnu its stamen. Right in the centre of the lotus is a pure spark of fire and that is the paramatman. Alternatively, one can visualise the paramatman in a blaze of light, in the centre of the lotus. Dhyana is far far superior to any yajna that one might perform. One particular form of deep and intense meditation is known as samadhi. The meditator is then completely still, as calm as the ocean. He loses all track of the outside world. He does not hear, smell, see or touch. His mind has no wishes and feels nothing. He is completely united with god. Such a meditator automatically gets to know all the knowledge that can be gleaned from the Vedas or the shastras. He can obtain all the material possessions that he wants, but he regards them all as no more important than a blade of grass. Such a meditator attains supreme knowledge. If you look at various pots full of water, you will find that the same sky is reflected in them all. Supreme knowledge tells one that, exactly similarly, it is the same atman that is everywhere. It is the atman which is the same as the paramatman, it is this atman that is in the water, in energy, in water, in the earth and in metals. The atman is everywhere. Brahma jnana is the knowledge of brahman. This knowledge, which gives the ultimate bliss, is nothing but the sense that the individual atman is identical with the universal brahman or paramtman. The physical body is not the atman. Nor are the senses the atman. The mind or intelligence is not the atman. Life itself is not the atman. The atman is different from all the objects that have been mentioned above. The atman is in an individual’s heart. It sees everything and senses everything, but is different from the physical body. It is this that sages contemplate when they meditate. 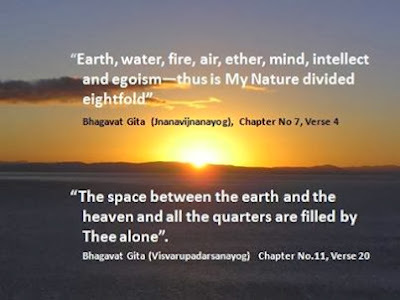 The sky was created from the brahman, from the sky came wind, from wind fire, from fire water, from water the earth and from the earth the five elements. One has to meditate on the physical body gradually disappearing and merging into the brahman. The brahman is neither true nor untrue. It has neither form nor is it without form. The brahman has several parts, but at the same time it is an integral whole. The brahman cannot be described. It cannot be achieved through the power of action. The brahman is always pure. It has no ties and it is the true form of happiness. What is required is the sense that it is I, the individual, who am the brahman. I am nothing but the atman and the atman is nothing but the brahman. This sense is true knowledge. The brahman is the Lord who is the origin of everything and the individual is part of the brahman. It is this knowledge that frees one from the ties of the world and this is what brahman jnana is all about. The brahman is not the earth; it is beyond the earth. The brahman is not the wind, nor is it the sky. The brahman has no beginning; it is independent of all action. The brahman is huge; it is everywhere. The brahman not only has no form, it is beyond all form. The brahman cannot be heard. It cannot be touched. The brahman has neither intelligence nor mind. It has no sense of ego or vanity. It does not have life, birth, old age or death. The brahman is neither happy nor unhappy. It does not feel hungry or thirsty. It cannot be measured. At the same time, it is both nothing and everything. Life has five possible ends. By performing yajnas one can attain heaven. By performing tapasya one can become an ascetic. 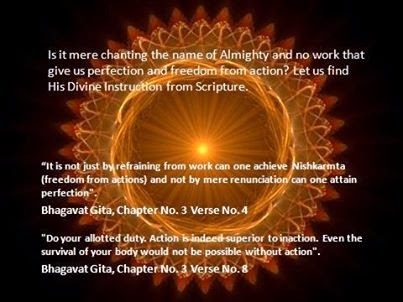 By performing actions one can attain brahmaloka. By detachment from material pursuits (vairagya) one can merge oneself into nature. And by true knowledge the individual gets absorbed into the divine essence. This is known as kaivalya. Detachment means to withdraw oneself from the effects of all actions. And knowledge means the knowledge that the atman is no different from the brahman. This is known as jnana yoga (the yoga of knowledge). There are few people who attain this knowledge. One of those was Bharata. Bharata had done a lot he became very attached to a deer and when he died, he died thinking of the deer. The result was that in his next life, Bharata was born as a deer. But the deer happened to be a jatismara, that is, it remembered its earlier life. The deer eventually died and Bharata was again born as jatismara human. Bharata then instructed the king on the mysteries of true knowledge. The atman was pure, ever-lasting, calm, without traits and beyond natural characteristics. Since the atman had no traits and since an individual was the atman and not the body, it was meaningless to say that an individual was strong or weak. The physical body was made of the elements and so was the palanquin. What was the point therefore in saying that the physical body was bearing the palanquin? Bharata’s words were so profound that the king immediately accepted Bharata as a teacher. And Bharata told the king the story of Ribhu and Nidagha. After another thousand years had passed, Ribhu came to the city again and discovered that Nidagha no longer lived in the city. He had begun to live on the outskirts of the city. “Why have you given up living in the city?”, Ribhu asked Nidagha. “Because I do not like to live in the city, where there is a king, “ replied Nidagha. This knowledge, that the atman is the same as the brahman, is known as advaita (unified) brahma-jnana. Ribhu taught this to the king of Soubira. This is the knowledge that all elements are one and the same. It is only those who suffer from illusions who think that different elements and different beings have different identities. Krishna had taught Arjuna the lessons of the Gita on the plains of Kurukshetra. The Agni Purana now relates the essence of the Gita . If physical body is alive, that is no reason for rejoicing. Just as, if the physical body is dead, that is no reason for mourning. The atman does not die. It does not decay, it cannot be destroyed and it is immortal. The atman does not warrant any tears that might be shed over it. people who are addicted to sensual pleasures cannot realise this. The person who is addicted to the atman alone has no desire for anything else. He had no action to perform. He had neither gains nor losses. The knowledge of this is like a raft that rescues one from the flood of illusions.